09 Apr 2019 --- Food waste initiative Winnow has launched a novel artificial intelligence (AI) technology, coined Winnow Vision, that promises to revolutionize food waste management in commercial kitchens to benefit businesses and the environment. Winnon Vision utilizes a camera, a set of smart scales and machine learning technology to recognize the different foods that are discarded and calculate the financial and environmental cost. This may allow chefs and therefore businesses to adjust their food purchasing decisions and reduce spending while tackling food waste. Winnow has been working on the project since 2017, while the AI technology’s concept phase was introduced in early 2018. IKEA and Emaar Hospitality Group joined the project and are already testing the technology. Winnow Vision is already installed in over 75 kitchens globally, with more expected to follow. AI is utilized across an increasing range of sectors within the packaging industry. AI in automation, for example, has made processes easier, more agile and faster. The use of the technology can also bring sustainable benefits. During the training and automation phases, the AI system takes human input, providing a shortlist of possible menu items for kitchen staff to select, to quickly improve its predictions based on feedback, Winnow explains. Over time, the system continues to improve and will automatically recognize food with no human interaction. Chefs can benefit from full reporting in their kitchens, helping cut food waste and save money with minimal to no effort. Click to Enlarge“At IKEA, we want to inspire and enable people to change their behavior when it comes to food waste, starting in our own operations. Winnow Vision has now been installed across 23 IKEA UK & Ireland stores and the feedback from the IKEA Food teams running our restaurant kitchens has been extremely positive so far,” says Lorena Lourido, Country Food Manager at IKEA UK & Ireland. IKEA has reportedly set itself the target of cutting food waste by 50 percent across operations before the end of August 2020, and technologies such as Winnow Vision can be instrumental in realizing this ambition. 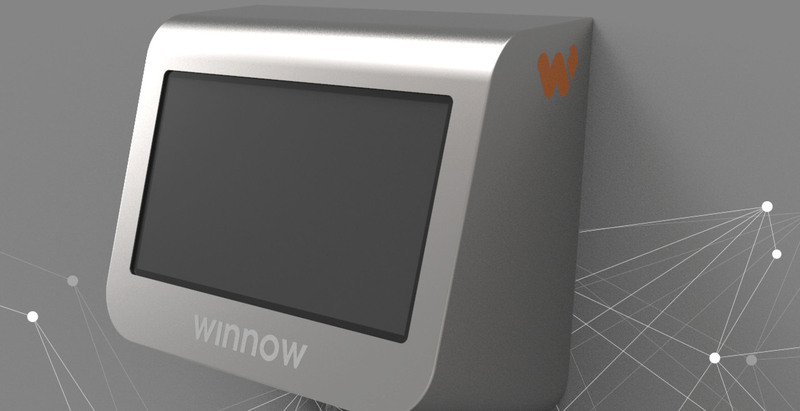 Previously, Winnow released a device consisting of a set of smart scales, that was able to identify food manually. This move helped commercial kitchens save over US$30 million in annual food costs, which equals to 23 million meals not ending up being discarded. “Food waste is a global issue and one that kitchens around the world are struggling with. Without visibility into what is being wasted, kitchens are wasting far more food than they think,” says Marc Zornes, Winnow CEO. “By understanding and reporting food waste’s very real costs – both to the bottom line and the environment – Winnow Vision empowers chefs to take action. Using technology that learns and improves with each use, Winnow Vision has the ability to tackle food waste on a global scale,” he notes. Only one-third of all food produced globally reaches consumers’ plates. According to Winnow, if food were a country, it would be the third largest emitter of greenhouse gasses after the US and China. Food waste is also an entirely unnecessary financial burden for businesses since it costs the global economy around US$1 trillion in lost output – equivalent to around 1.5 percent of the global GDP. Click to EnlargeFood waste costs commercial kitchens between 5-15 percent of all food purchased, with some kitchens wasting up to 20 percent of all the food they buy, according to Winnow. For the hospitality industry alone, food waste costs around US$100 billion every year – a number that Winnow Vision may be able to significantly reduce. 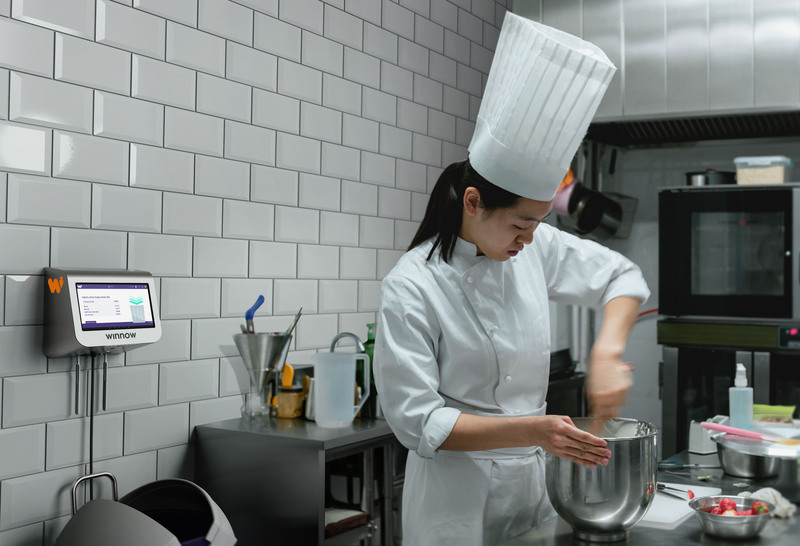 “With Winnow Vision, businesses install a piece of technology that can already recognize most food items and can be trained to learn other menu items in any kitchen,” the company says. Food waste is an increasing concern that has spurred a lot of innovation. With this in mind, researchers from the University of Borås, Sweden, created edible, bioplastic films and 3D objects from fruit waste. Lead researcher, Veronika Bátori, investigated the use of fruit waste in biomaterials in her Ph.D. thesis and chose to study waste from apples and oranges. Although the research for 3D shaped objects, such as mugs and plates, is in the early phase, Bátori tells PackagingInsights that the materials are promising. In the same space, a US consumer survey found that widespread confusion on food date labels is leading to increased food waste and safety risks. The survey highlighted that consumers interpret package date labels incorrectly and wrongfully believe that the expiration dates are federally regulated. The researchers are calling for tech solutions, such as the use of QR codes, policy changes and consumer education to ensure food waste is diminished.